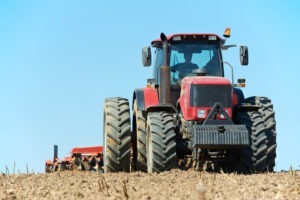 Have you suffered an injury as the result of a farm accident or agricultural accident? It may have been an accident at work or whilst visiting a farm. There are on average over 1000 injuries suffered due to farm accidents each year which result in the victim having to take more than 3 days off work. When accidents happen in this industry, they are frequently serious. 15% to 20% of all fatal accidents at work are in the agricultural industry, while it only employs 1.5% of the UK workforce. Many farms use temporary staff, which can lead to a lack of training and a lapse in health and safety procedures. If you have been involved in an accident at work, telephone us to speak to a personal injury solicitor with the relevant expertise. Farms are notoriously hazardous places of work, but farm accident claims can also be made by visitors to a farm when they sustain an injury through somebody else´s negligence. Our helpful solicitors are on hand to give you expert advice on 01925 937070 or simply complete our Farm Accident Enquiry Form by clicking here. If you have been injured in an accident on a farm you may be entitled to claim compensation for your injuries on a ‘no win, no fee’ basis. Our solicitors will assess your case and if you wish to proceed with a claim, we will begin the process of claiming compensation for you right away. If you wish to start your claim now please call one of our expert personal injury solicitors on 01925 937070. We’re more than happy to answer any questions you may have. We are local solicitors in Warrington, Cheshire and we accept claims from across England and Wales. Call us on 01925 937070 to speak a solicitor in confidence or click here to complete our Farm Accident Personal Injury Form. We can assist with personal injury (accident claims), medical negligence, criminal injury compensation claims, employment law claims, wills and probate, lasting powers of attorney, oaths, affidavits and statutory declarations, settlement agreements and professional negligence claims.